Get the factory recommended servicing and pricing for your vehicle. Need A Tow? Broken Down? View the manufacturer's recall information for your vehicle. Get it checked here for free. 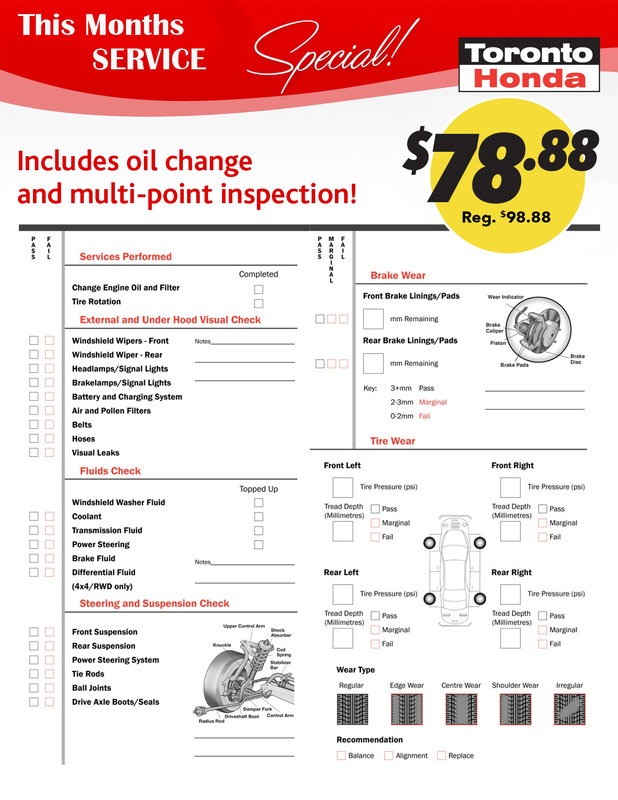 Includes oil change and multipoint inspection. 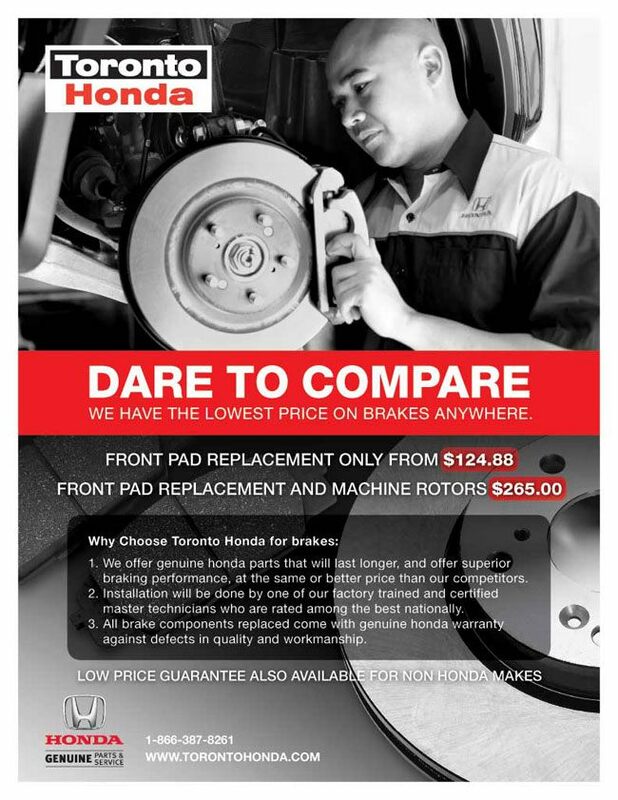 We have the lowest price on Brakes anywhere. At Toronto Honda we understand that the key factor to our future success rests with our ability to attract and keep customers throughout their lifetime. That means offering outstanding service and exceeding your expectations. Try Us. We conserve natural resources and help keep the environment clean by recycling our waste fluids. service. Drop off your car at your convenience. Pick up your car 24 hours a day, 7 days a week.